Blog Home > Mezzanines > Can Your Floor Bear the Weight of a New Mezzanine? We’ve created an informative article you should check out if you are thinking of installing a mezzanine in your facility. 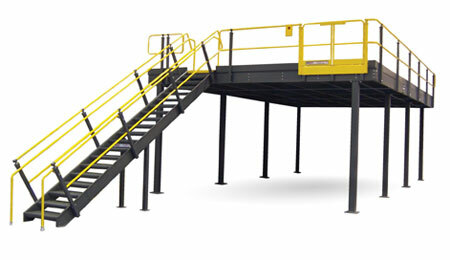 When implementing an Industrial Equipment Platform (mezzanine) be sure that you are not putting too much stress or weight on the floor of the building. Too much weight will cause the floor to crack – or worse. 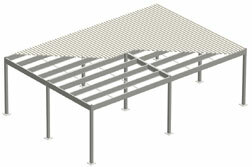 This article tells you how to calculate the correct load capacity and column spacing for any new structural mezzanine project. Floor capacity depends on the thickness of the concrete, but that’s not the end of the story. It also matters how much the soil underneath the slab will compress.